The superstar violinist David Garrett visited Classic FM to give us some video dedications for a few very lucky fans... were you one of them? Well, there's only one piece of music you can play for this, isn't there? Here's a little bit of inspiration from David, in the form of a belting version of 'Smooth Criminal'. David's audience is very international, obvs. 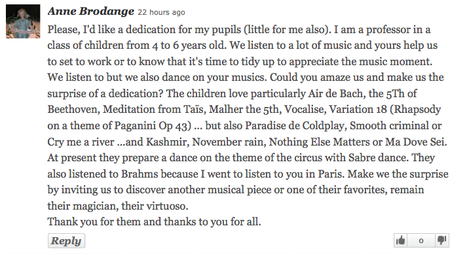 With the best wishes of David Garret behind you, what better preparation could you have for a recital? 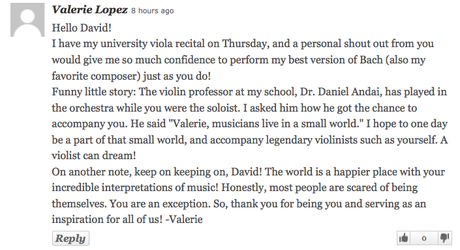 David has a very special dedication for someone who is looking after the future of the violin. Oh, and whips out a bit of Bach as if it's absolutely nothing. What a guy.